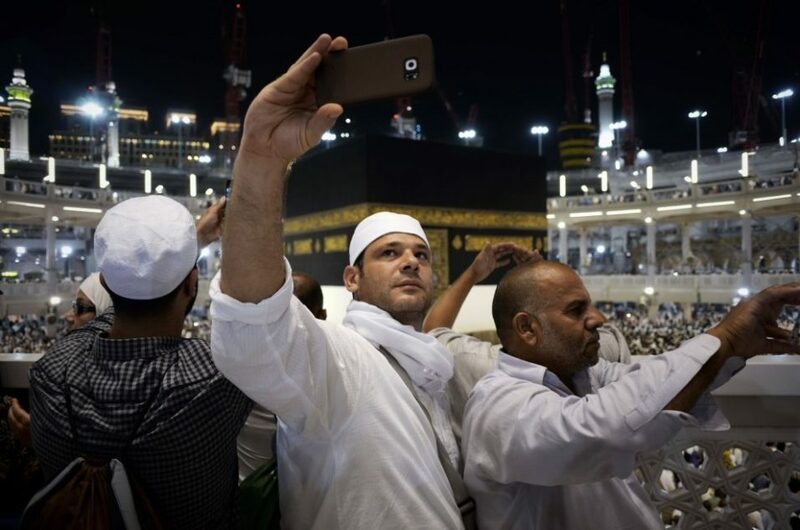 The Hajj just became a bit less hip: Saudi Arabia has banned pilgrims from taking selfies at Islam’s two holiest mosques, effective immediately. Visitors to Mecca’s Masjid al-Haram, known as the Great Mosque of Mecca, and Medina’s Masjid an-Nabawi, or ‘The Prophet’s Mosque,’ will be prohibited from taking photographs or videos at the two holy sites. Saudi authorities stated that the ban will prevent unnecessary disturbances for those who wish to worship without distractions. While pilgrims may now be deprived of photographic mementos, security guards at the two holy sites have traditionally always been hostile toward people taking photos. Now that selfies and photographs of all varieties are officially prohibited, security guards have been instructed to “confiscate the photos and the camera if needed,” according to reports. Historically, Saudi Arabia has had a complicated relationship with selfies. The revered cleric later clarified that “taking pictures is prohibited if not for a necessity – not with cats, not with dogs, not with wolves, not with anything,” he said. However, as recently as October, photographic evidence of a serious selfie habit was found on Saudi Crown Prince Mohammed bin Salman’s Instagram account. The Saudi royal had taken an estimated 500 selfies in the span of less than two hours.